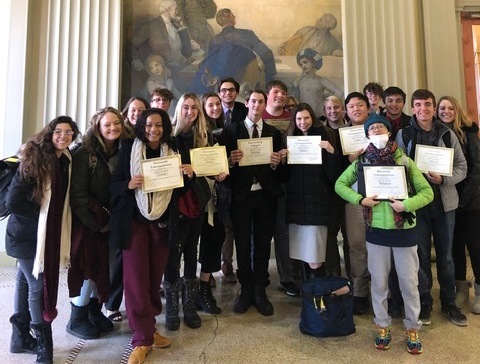 Bishop Verot's Model United Nations Club traveled to Boston to compete in the Massachusetts Institute of Technology Model United Nations Conference. The team came home with 10 awards, one more than was received at last year's competition. Congratulations to the award recipients and the entire team for your hard work.